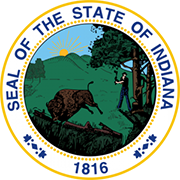 The Business Services Division of the Indiana Secretary of State administers all business-related responsibilities and duties in the state. The Division maintains the records and files of every business entity that has been registered in the state. It stores information of Corporations, Limited Liability Companies, Limited Partnerships, Limited Companies and Limited Liability Partnerships. 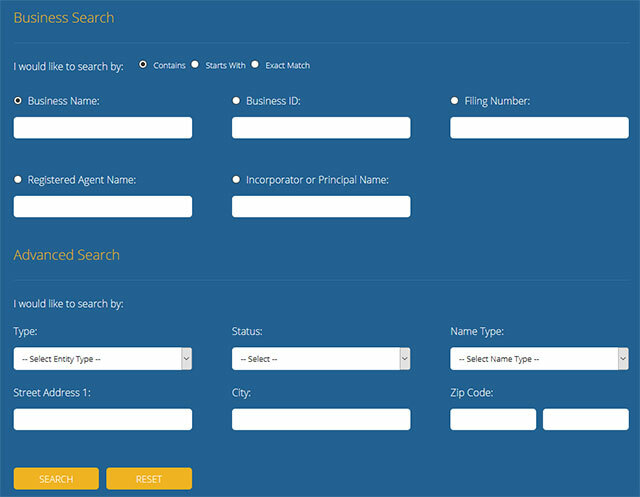 You can also narrow your search by Entity Type, Status, Name Type, Street Address, City and Zip Code. 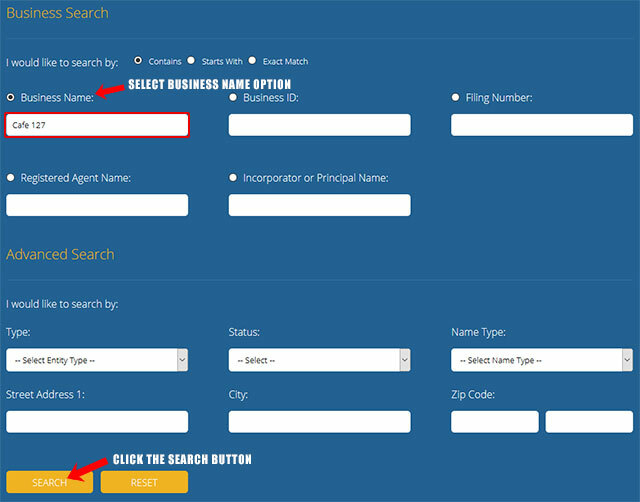 Below is a step by step guidelines on how to use the Indiana INBiz search tool. 1. The first step is to access the INBiz's Search Page by clicking here. (it will look like the screenshot below). 2. In this example, we will be searching by Business Name. In the "Business Name" field go ahead and type in the name "Cafe 127", then click the "Search" button. 3. The next page will show the business entity's Name Type, Entity Type, Principal Office Address, Registered Agent Address, and Status. Click on the Business ID to access more details on the entity (see the screenshots below for reference). You can also view the business entity's filing and name history, as well as request for certified copies of its documents. The Indiana Secretary of State is one of five constitutional offices of the state. The office is currently held by Connie Lawson, a Republican who was appointed by Governor Mitch Daniels in 2012. The other duties of the Secretary of State include administering regulatory policies to security companies, registering vehicles and issuing licenses, overseeing elections, and maintaining state archives.